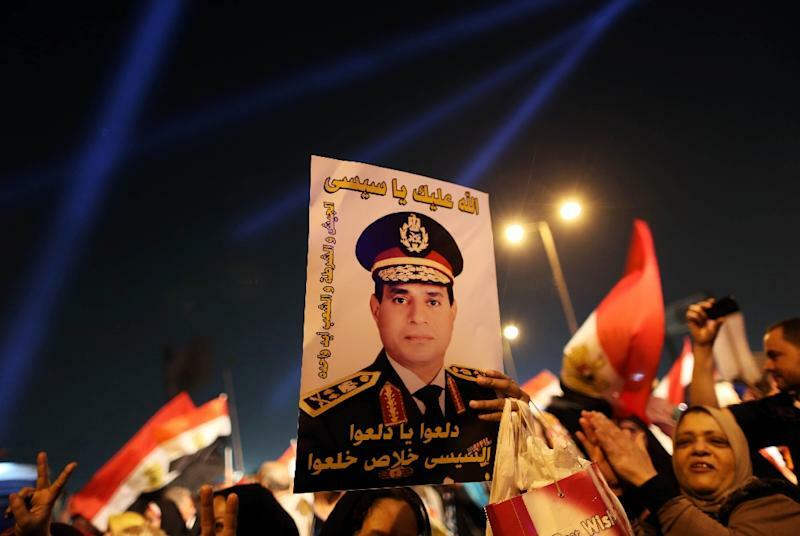 Cairo (AFP) - Egypt will try 292 jihadist suspects over plots to assassinate President Abdel Fattah al-Sisi and the Saudi crown prince and attacks in the Sinai Peninsula, a prosecution official said Sunday. The suspects, including 151 currently in custody, were referred to a military court for alleged membership of the "Sinai State", the local affiliate of the Islamic State group, which is leading an insurrection in the Sinai. The suspects were questioned about the accusations against them and 66 confessed during an investigation that lasted more than a year, the official said. All of the suspects were involved in 17 operations, including two plots to kill Sisi, one while he was on a pilgrimage to Saudi Arabia and one in Cairo, the official said. The official gave no further details, but said those who planned the assassination attempts were dismissed police officers who adhere to jihadist ideology. The suspects allegedly also planned to assassinate Saudi Crown Prince Mohammed bin Nayef in the Gulf kingdom and five Egyptian judges. No further details about the plots were given. The prosecution also accuses the suspects of attacking army and police checkpoints and bases in the Sinai, and of responsibility for a February 2014 attack on a bus carrying South Korean tourists in the south Sinai tourist resort of Taba that killed three holidaymakers. The army has been battling an Islamist insurgency in northern Sinai which escalated after the military overthrew Islamist president Mohamed Morsi in 2013. Egypt's government says hundreds of police and soldiers have died in the attacks, which have also hit Cairo and the Nile Delta. Most of the attacks have been claimed by the Egyptian IS affiliate, which also said it bombed a Russian plane over Sinai in October 2015, killing all 224 people on board, most of them Russian tourists.